Following the highly successful album Wherever You Are, Third Day are releasing their first Christmas recording. Christmas offerings, the next instalment in the platinum-selling Offerings worship series provides a unique blend of Christmas classics and new songs written by the band. The CD features a combination of studio and live recordings captured during an intimate setting in the band�s hometown. 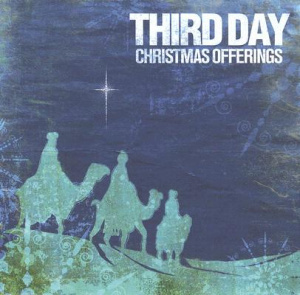 Produced by Third Day along with producer/engineer Don McCollister, Christmas Offerings is bound to become a fan favourite. Christmas Offerings CD by Third Day was published by Essential Records in October 2006 and is our 15441st best seller. The ISBN for Christmas Offerings CD is 0083061082826. Be the first to review Christmas Offerings CD! Got a question? No problem! Just click here to ask us about Christmas Offerings CD.